Forward-looking: The UK is testing a new roadside system that can identify when drivers are using their mobile phones and show them a warning. The signs, which have initially been installed in the county of Norfolk, work by scanning for phone signals as vehicles pass. A directional antenna picks up a handset's radio waves and measures the signal strength and length of activation. If phone use is detected, a “no mobiles” image made of LEDs is lit up by the roadside. The system can even tell if a call is being made using a hands-free kit or via Bluetooth—both legal in the UK—in which case the warning sign won’t activate. Using a hand-held phone while driving in the UK can lead to 6 penalty points on a driver’s license and a £200 ($265) fine. If the case goes to court, an offender could be banned temporarily from driving and faces a maximum penalty of £1000 ($1326) or £2000 for drivers of buses and trucks. There are some caveats to the system. It cannot tell the difference between a driver and a passenger using a phone. It’s also unable to detect if a driver is using online services while behind the wheel; a common practice, thanks to the popularity of WhatsApp, Facebook, Messenger, etc. "Any scheme which prevents this kind of behavior is welcomed. 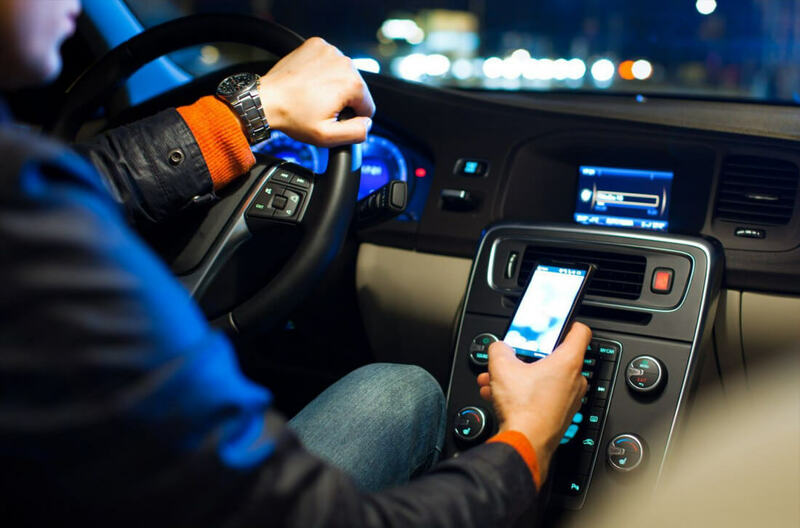 Using a mobile phone at the wheel is one of the fatal four road offenses which can have devastating consequences if it causes a fatal or serious collision," Insp. Jonathan Chapman, of Norfolk Roads Policing unit, told the BBC.